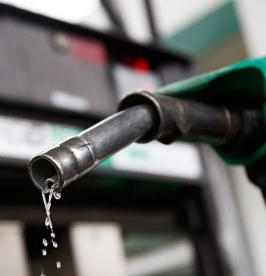 (CNS): Following complaints and concerns from consumers that some of the fuel sold at local stations is well below acceptable standards of quality, the Cayman Islands’ Chief Petroleum Inspector (CPI) undertook a report and has identified some problems with the quality of diesel. A release from Government Information Services said that the fuel inspector has pointed to the need for some new measures and regulations as well as a formal complaints procedure as a result of his findings during the assessment undertaken at the end of last year. CNS has requested a copy of the report, which has not yet been released as officials stated it remains in draft form. Although the inspector, Duke Munroe, has made a number of recommendations to better monitor and ensure local gas quality, the problems encountered during the review have not yet been fully detailed. The report, entitled "Investigation into Quality Issues of Gasoline Distributed in Cayman Islands Retail Network", took place late last year following another surge of complaints from consumers that their vehicles were being impacted by bad fuel and drivers reporting mechanical problems that appeared to be linked to gasoline quality. According to officials, the quality of the fuel analysed was found to be generally acceptable. It was analysed by Certified Labs in the USA, which indicated that the baseline parameter of local fuel meets standard test criteria. The few cases where fuel quality issues were found, in particular issues regarding some underground tanks, the product of concern was diesel – not gasoline. Officials said measures had been taken to address those issues but additional work was needed in this area. However, even though experts thought that the symptoms did not directly correlate with issues related to this parameter, the possibility could not be ruled out. “Because of its likely effects, efforts continue to further review this topic as part of comprehensive solution to the problem,” GIS said of the 24-page report documents. Mild anomalies in fuel colour were also flagged for further observation and review. Munroe said tank maintenance, technical issues and inventory management practices would continue to be scrutinized in order to determine if there were other underlying issues. The CPI reportedly found that the shortcomings the office turned up were “manageable” but improvements were needed in the area of information-sharing between the fuel industry, government and the public, as it seems he struggled to get the information he needed. "In many cases, basic non-proprietary information was difficult to obtain … which can only be addressed by well-defined regulations,” Munroe said. “Despite some limitations, the exercise produced useful findings and valuable data/information which is essential for renewed discussion in the area of fuel quality, and ultimately to develop a framework to address this issue, going forward,” he added. The CPI has also proposed establishing a committee to develop and periodically review quality standards for imported fuel. New regulations and fast-tracking of policies to ensure quality and to allow effective monitoring and enforcement of industry standards are among other key recommendations made. The draft report with findings was presented to government in November and officials said it was being reviewed. Copies were shared with the oil companies, who cooperated with the CPI during the investigation but copies have not yet been provided to the media. Every country faces the same worst situation about the fuel quality check points. No doubt in local fuel stations we have found various kinds of complains regarding fuels, most of the fuel station workers are mixing other types of liquid elements in fuel to get more profits, as a result it ultimately reduce the efficiency of our vehicle. Therefore the quality of fuel must be proved in every fuel stations; low quality fuel directly hits our engine conditions as a result we need professional vehicle mechanic to deal with our worst engine condition. Personally, I noticed that since Rubis took over, my full tank that used to get me from EE to GT every day with fuel to spare come the weekend, now had to be filled up twice a week in order to get me to work. You're not telling me that's acceptable. $$$ wasted on rebuilding our carbs……..We have had to remove and ship our carbs off island to be rebuilt because of our poor fuel quality. I suggest the press contact the many mechanic businesses and get a true picture of how large and costly this issue has been for many of us over the last two yrs. Quality control checks should be a routine process for our regulators, if they are not already. It doesn't appear they are after reading this…..frustrated consumer. on the island. Renault tested the fuel and said No Way Would We Put That Fuel In Our Cars. I have known that for almost 10 years. There is no recourse, you will continue to pay high prices for the cheapest fuel on the market. Get used to it. Get used to paying repair bills………or just stop driving. my problem is, why is it, we pay for litres when we get fuel in Gallons? Since when can 5 litres on the pump, be exactly 5 gallons in my fuel tank for my boat? Which station. Otherwise … TROLL. From right after Rubis took over the Cayman Brac petroleum facility, ownes of Hondas, Nissans a number of Fords, and some other makes have been having numerous serious problems. Many have taken their cars to various mechanics who did various jobs and changed vaious parts at considerable expense, to no avail. The effects were similar to effects experienced a few years back when Texaco brought in what top mechanics concuded was what is called "Winter gas" in the Unitd States It is a gasoline that is cheaper to produce and causes little or no problems in cold weather. You can read about "Winter Gas" on Google. Cayman Brac is supplied by Rubis only, so we have to face the problem as best we can. Thus far the Ispectorate has apparently failed to help the Cayman Brac gasoline problems. There seems to have been an imrovement in the gasoline in Cayman Brac during the last two months. My Honda is working the best now that it has done in well over a year without having. anything done to it. It is not back-firing or stalling when trying to accelrate from low speed at present. Of course the weather has been cooler. monitored, and they should be tested by neutal parties to ensure that we are getting the right product. Unnecessary expense should not be imposed on Car Owners who get the wrong product when they pay for the right one. We have had enough frustrtion, problems and expense due to what we believe to be inferior quality gasline. I've never had a problem with gasoline in Cayman, and I've been driving here since 1983. My present car, a Honda V6, always puts out 29.5 mpg, never fails to start and seems to gobble up all this dirty, wet, ethanol-laced fuel as if there's nothing whatsoever wrong with it. I must be dreaming. Are you in Cayman Brac or Grand Cayman and are you using Rubis gasoline? Mr. Mosses please find out what’s going on with our gas prices in Cayman Brac? The prices of gas is falling everywhere else besides here!! I have had to have my tank pumped and cleaned 3 times in the last year and a half. I dont think any of the gas staions clean there underground tanks or filter the fuel before it goes through the pump. Yes gas has been big problem too. Just had another bad batch this weekend. I have many clean portable gas containers that I fill my boat up with. very often I find black crud and water in bottom of containers after filling them at station. I always make the station aware, but that still does not fix the problem. I am glad I am not putting the gas into a larger tank below deck, because that would be costly to clean out. really need monthly checks on stations, and if gas or pump filters are bad, shut the staion down and have problem addressed, so public does not have to deal with the poor fuel. Some one needs to do something about it, besides just writing another report. Just changed out a fuel pump due to water in the fuel. Where do I go to get reimbursed? What a surprise Bracka moaning again. The quality of gas in Cayman Brac has been awful for the past 12-18 months. When are we in Grand Cayman going to get our break across the board? We are paying everybody's way, it needs to stop. What's good for the geese should be good for the gander. Thank you. You can't get a break on everything. This is Cayman. All will come out of this in the end in a big fat nothing!! Because of the "prestigeous" families that are connected to these companies, nothing will be done to benifit the consumers. IF the fuel was 50% water, all you would hear is that the fuel is "acceptable". The bad part is there will be no outcry from the public or the Government.